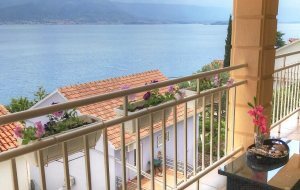 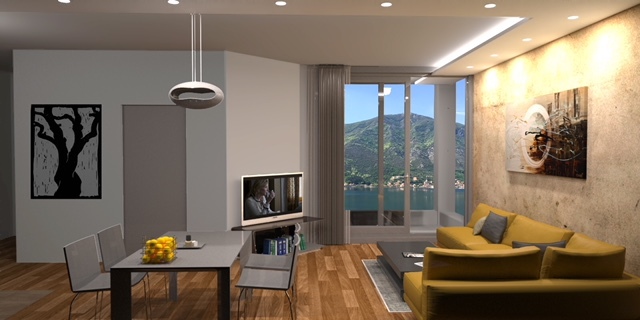 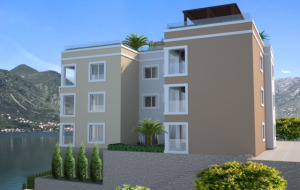 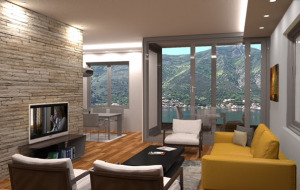 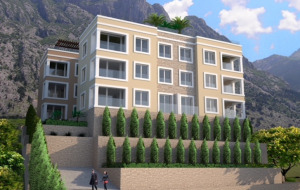 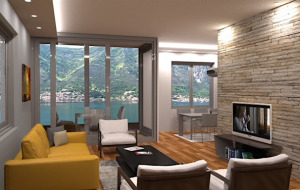 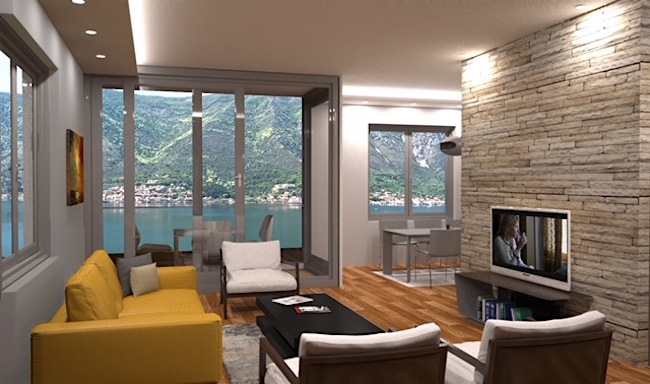 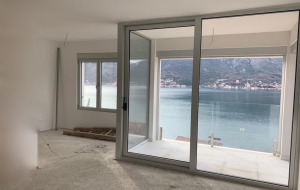 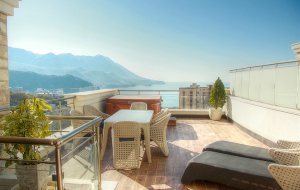 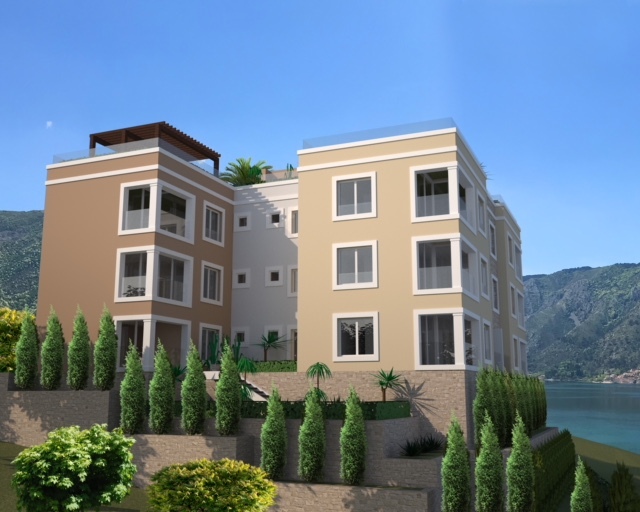 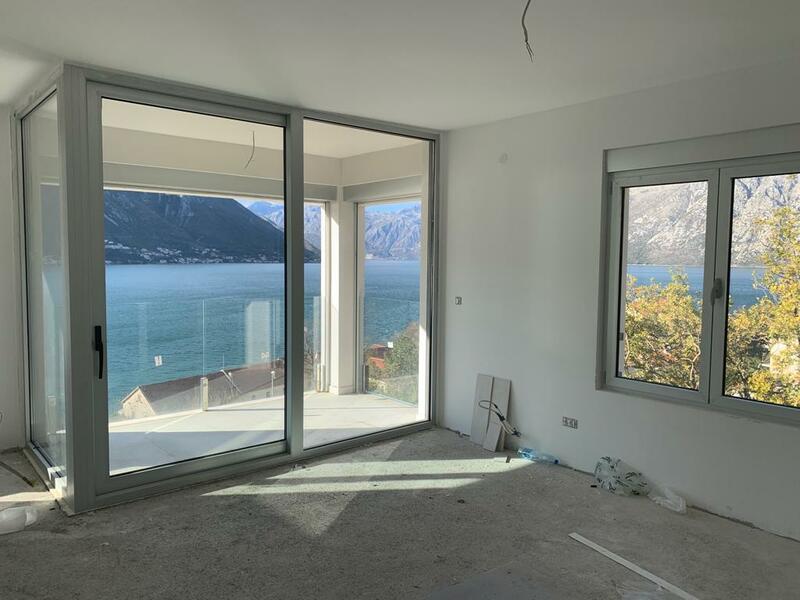 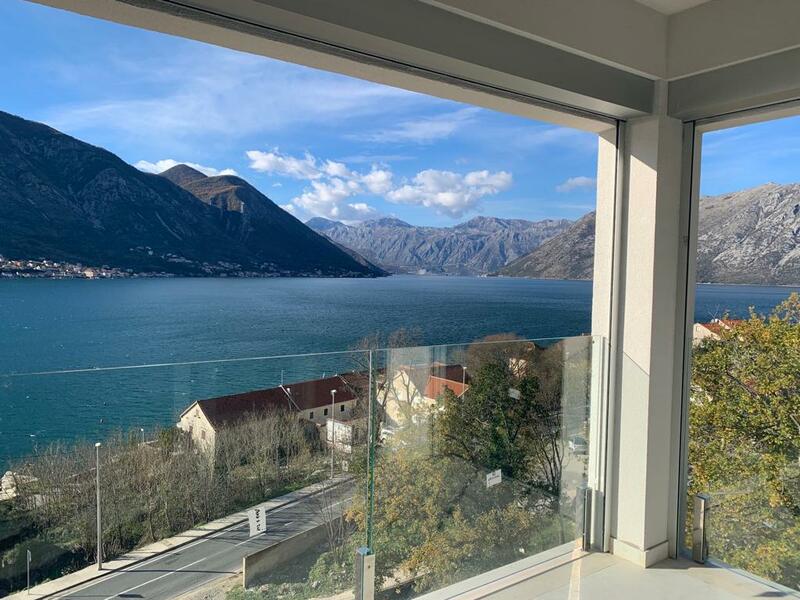 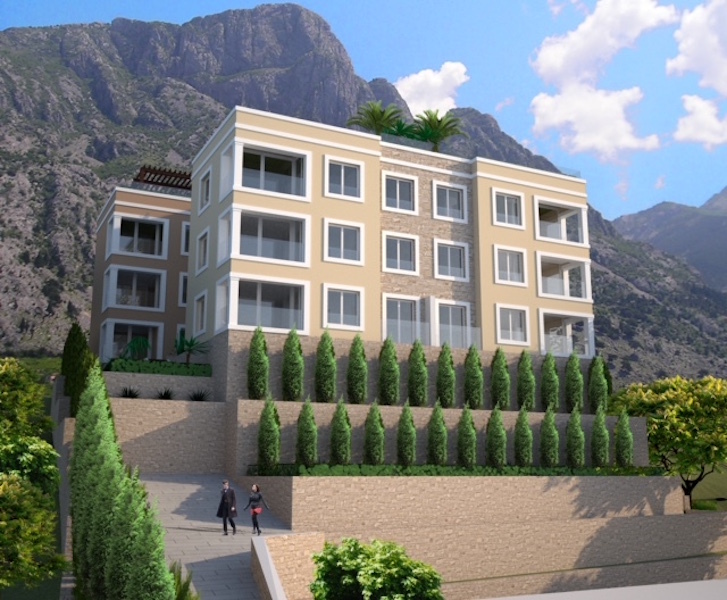 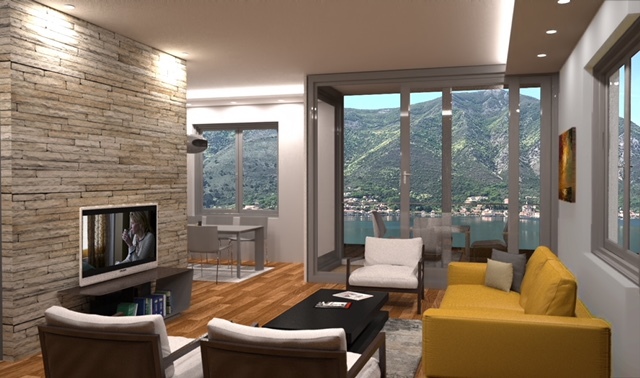 Apartment in the new residential development located in the Bay of Kotor, on the waterfront of the Kotor’s district Dobrota. 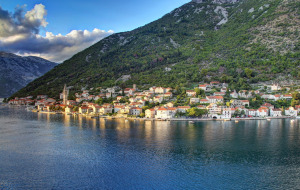 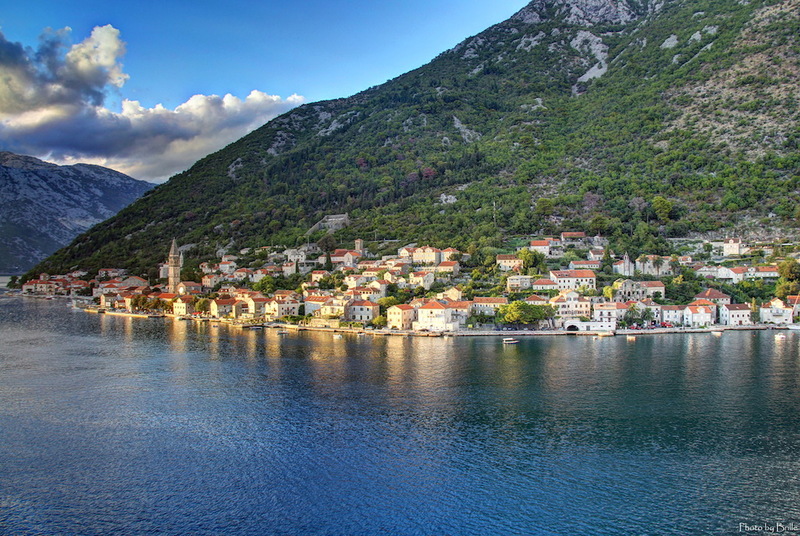 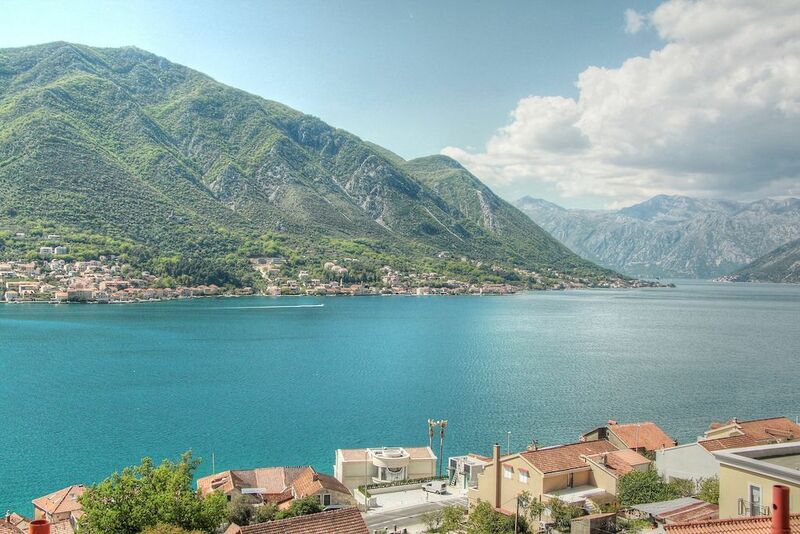 The Bay of Kotor is a place of extraordinary beauty with breathtaking views of amazing sceneries, mild climate and rich historical heritage. 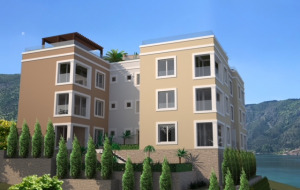 The apartment is located on the first floor of the three-storey building. 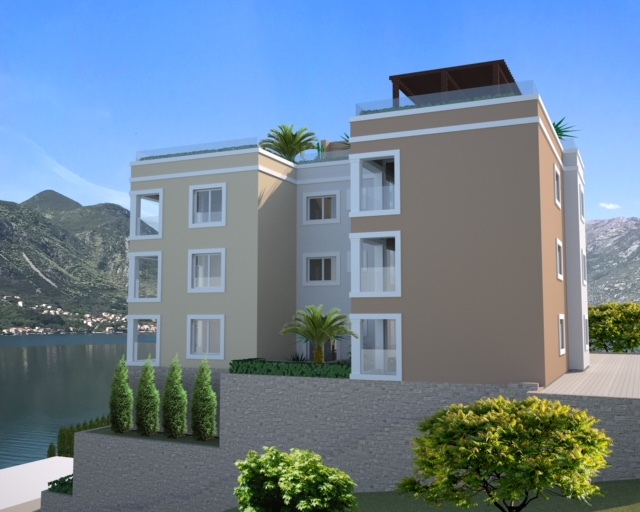 It has a living room with kitchen and dining area with access to terrace, two bedrooms, hallway and two bathrooms. 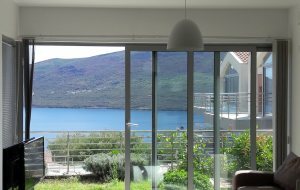 The terrace has a beautiful view of the bay. 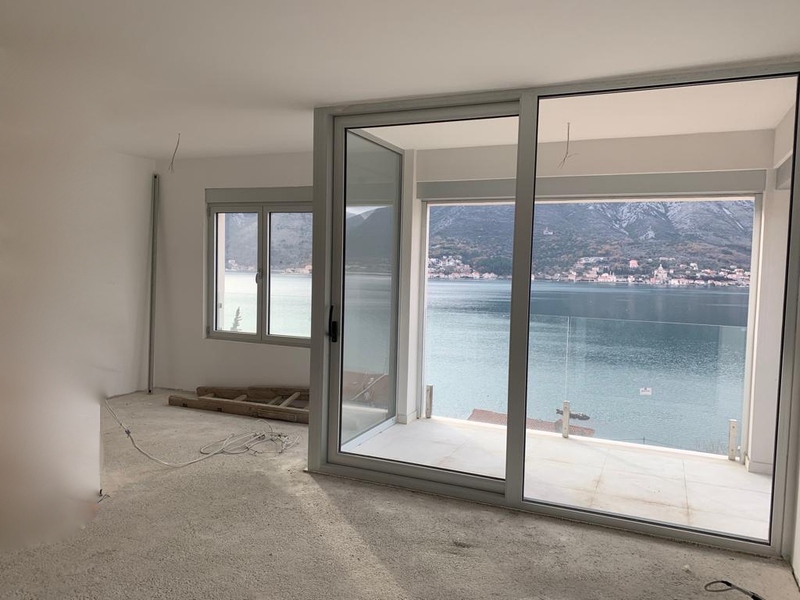 The apartment is sold finished without furniture. 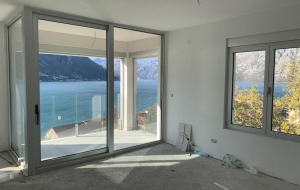 Finishing includes first class laminate flooring in all rooms, bathroom with all vanities, Italian and Spanish tiles, shower cabins and heated floors. 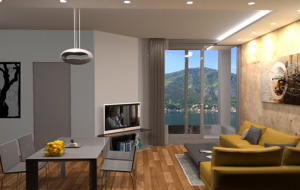 All rooms have spit systems for heating and air conditioning. 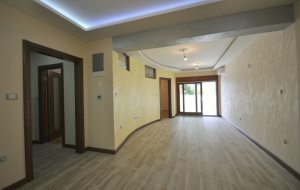 The building has an elevator that goes down to the garage level.